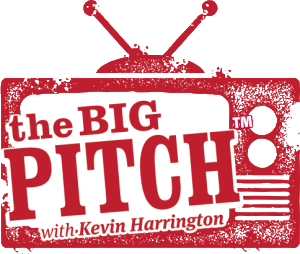 Episode of The Big Pitch with Kevin Harrington. CoolBag will be one of five breakthrough beach/travel products featured on Episode 7 of The Big Pitch. The episode was filmed in September 2015 at the Surf Expo trade show in Orlando and is scheduled to air on the Fox Business Channel on Sunday, December 27th, at 4:30 pm EST. The CoolBag impressed a panel of three industry experts, including Kevin Harrington, an original Shark on the ABC series Shark Tank. Harrington, an infomercial pioneer, has sold more than $4 billion in products direct-to-consumers. Among his discoveries were the George Foreman Grill and Thighmaster. Tune in to check out the BigPitch along with Kevin and his panel’s reaction to the CoolBag! CoolBag makes a Big Splash at the 2015 Surf Expo! The Big Pitch Episode in Full! Check us out!